Jump directly to the Adventure Works Database Download. Supercharge Excel: When You Learn to Write DAX for Power Pivot is the second edition of my original book Learn to Write DAX. This updated version covers the same learning experience and exercises as covered in my first book but is updated using Excel 2016. This book teaches readers how to get the most out of Power Pivot for Excel 2016 by learning the DAX language. If you are already competent in the DAX content from my first book Learn to Write DAX, then there is no need to read this book. Of course if you want an updated version and/or want to repeat the exercises, then it could be good for you. My shop (ships within Australia only) – *see bonus offer details below. From my publisher Mr Excel (ships within USA only) – *see bonus offer details below. Amazon USA and also most other Global Amazon stores. Bonus Offer*: If you purchase the paperback from my shop or from Mr Excel you will receive a DRM free copy of both the eBooks (Supercharge Excel and Supercharge Power BI) at no extra charge (immediate download). Sorry, this offer is not available from Amazon. I sell the digital edition of my book globally from my shop. If you purchase the paperback from my shop you will receive a DRM free copy of both the eBooks (Supercharge Excel and Supercharge Power BI) at no extra charge (immediate download). There are 3 file formats including a PDF (for your PC) and also a MOBI format (for Kindle). Sorry, the bonus offer is not available from Amazon. Alternatively you can purchase the Kindle edition from Amazon. Do You Want More Guided Learning? 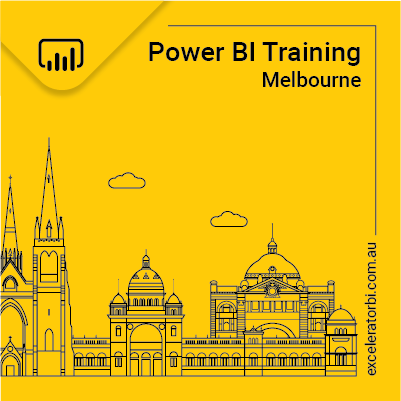 If you want to get a quick start on DAX and run faster to meet your career objectives, you can enroll to my Supercharge Power BI Online training. The training is for 5 weeks and includes study and practice, online videos to explain complex concepts and a weekly live Q&A session with me. As the DAX skills are transferable across Excel Power Pivot and Power BI Desktop, you can choose any of the two interfaces and guidance will be given for both. You will be given an eBook copy of both books Supercharge Power BI and Supercharge Excel, and you can choose to read which ever version you prefer to participate in the training. You can download the sample database here so that you can complete the practice exercises in the book. If you want to get any value from this book, you simply must complete the exercises. Why not sign up to my blog at the same time in the form below.